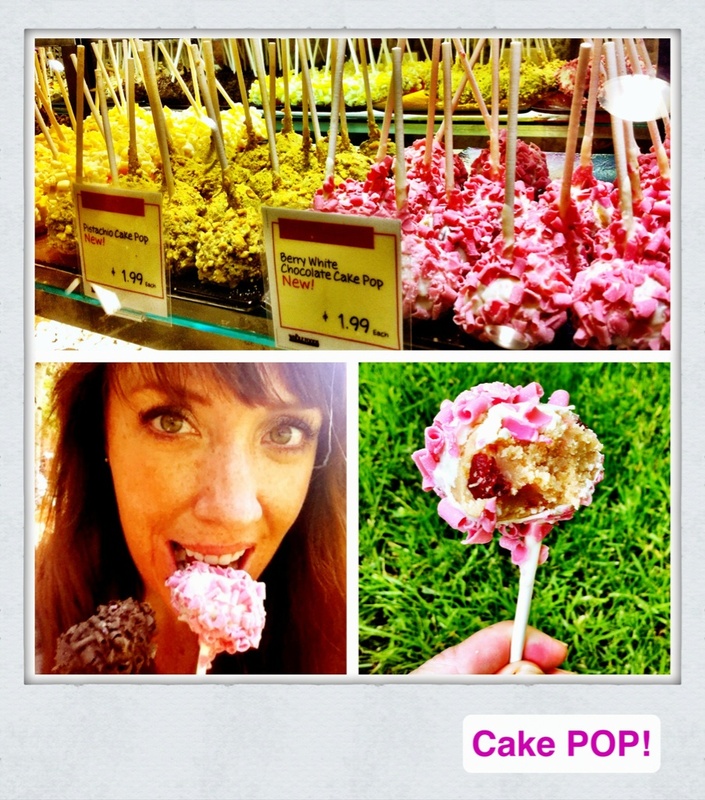 I was so excited about this cake pop. Like bursting-at-the-seams excited. But it was a total disappointment! Luckily I bought two: Double Chocolate and Berry White (oh so corny!). The chocolate one was 'meh,' but the berry one?? Let me just say that I bit into it and I found dried fruit. I hate dried fruit in my baked goods. HATE! I'd rather go without dessert than have something with former fruit nuggets nestled in it. Even picking them out wasn't an option (I've been known to do that). So I didn't even finish it. It wasn't worth the calories. I think the thing that threw me off wasn't necessarily the fruit (although it was shocking) but the fact that the 'cake pop' was more like a 'cookie dough pop' when I was expecting more of a 'donut hole-type pop'. Needless to say, I won't be buying cake pops again any time soon. Do you ever not finish something because it just isn't worth the calories? Absolutely. I love desserts. But I only love good desserts... not just mediocre desserts for 'desserts' sake. If it isn't to-die good, I won't eat it. You know what they say.... A moment on the lips, FOREVER ON THE HIPS!! OH MY GOD!!!!!!!! I ABSOLUTELY HATE DRIED FRUIT IN BAKED GOODS TOO!!!!!!! This is riveting! Actually, to be honest... I hate all "cooked" fruit desserts- no pie, danishes, or muffins with fruit. And raisins? Ewwwwww. I seriously thought I was the only one. And, I am SO with you when it comes to eating GOOD desserts. I am not a fan of your typical store bought cake, and I always feel rude a celebrations to turn it down.. so I usually try to hide it somewhere (or mush it down so it looks like I've had some). ...but I have to admit... Berry White??? Genius!